Popcorn booties pattern for free booties for those looking for a perfect booties pattern. For those looking for booties, please look at the booty pattern on canimanne.com. Or click through the links in our article. Our girls’ dowry must-have booties are also a great pattern. 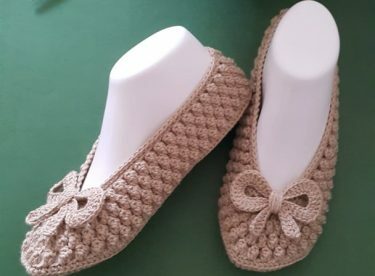 The bottom of the foot with a full fit with the bottom of the babet pattern of the stylish booties pattern is appreciated. For our friends who want to learn new, our video explanations will be very helpful. It can work in desired colors. You can use a ready base or felt base. You can do it with a video narration. 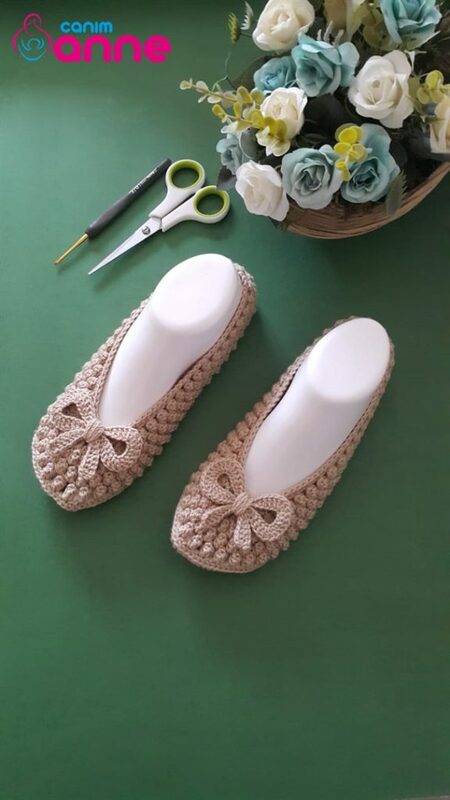 We wish to be together again in beautiful, wonderful, elegant knitting and crocheted booties. Goodbye. We construct the pattern on the mesh base. First of all, we place 1 row of frequent needles on the base. 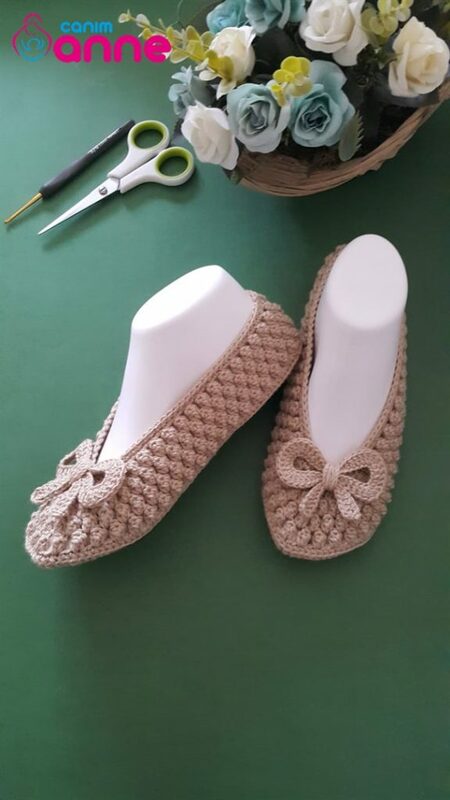 I’m starting to make a pattern from the heel section by using the technique of weaving popcorn we are 4 rows. We throw 2 chains and 2 frequent needles into the middle to form popcorns and we’re building 2 rows. In order to determine the places where we will make a subtraction in the nose part, we pull the chain between them and pull the chain between them. Next we are making as a popcorn and we are doing a subtraction of the nose only 6 times. We make 2 frequent needles between the popcorns in a higher order, and in the meantime, we perform a subtraction of the nose part 3 times and complete it as a frequent needle. In the last row we make a frequent needle on top of each frequent needle. 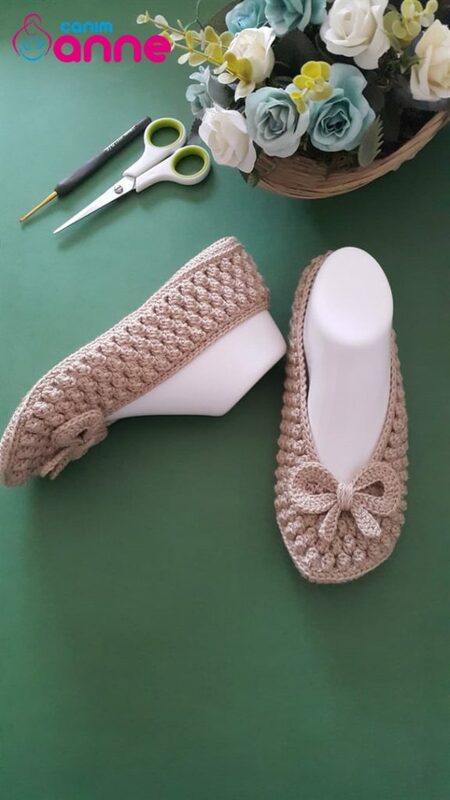 We complete the pattern by sewing a crocheted bow and sewing on the upper part of the boot.